Yes, something important in a publicity sense (a reading, I believe?) is happening in NYC that day, and they wanted me to be there. Well, Jeffery did for certain, and I’m sure he wouldnt have asked without checking with Barry, so to say I’m flattered, would be putting it mildly. Lets just say that I’m assuming he only wants me to attend the event, and nothing more, but of course, you meet people at things like this, and who knows where things might lead from there? Equally, I thought I was going to a wedding as a guest, only to discover I was a bridesmaid, which turned out to be being Maid of Honor, and where all that led to. No, I dont think I’m likely to end up starring, or even working on Broadway (though I wouldnt say no, if offered), but its that thing of getting yourself known, and seeing where it takes you? Sadly, unless I win the lottery (I know, stop laughing), I really havent got the money to go at present, especially as the ‘old girl’ is on a 4 day week at present due to her back issues. So yeah, probably any part needs me either to be sat, or in a wheelchair, which pretty much kills most roles anyway! But yes, I could make a cute ‘flapper’ for the day, given the chance! In truth, I dont even know if the holiday is available at work at present lol, but…? So fine, if any ‘guardian angel’ out there wants to make my dream visit come true, then I’d love it. No, I dont expect it to happen, but no harm in asking lol! Comment here, or email at stephmajor8@hotmail.com if there is a W.R Hearst type out there, lol! Regardless of helping me out, if you’re in the area, and hear of this event happening, go support it, please! 2 lovely friends deserve all the support they can get, in every sense, and I only wish I could be there to help them too. If anyone needs details of venue, and time, and cant find it, ask, and I will ask. My logic is, if I cant get there, its probably better I dont know. Equally, Jeffery, or Barry, if you see this, and want to add those details to the piece, please do! Going to make me a star? I could be the one? Amazing setting, for an amazing movie. As friends might know, I dont go to the movies very often. In fact, from memory, the last movie that I saw shortly after it came out was ‘I, Robot’, and that was 2004! That was actually in Dallas, and was my first experience of some new movie fad, which I think was surround sound, but dont quote me on that. Apart from ‘Spider Man 2’ which I’d seen earlier that week, with the same host, it had been a while since I’d seen anything live at a cinema. Prior to that, absolutely no idea, its been that long. Since then, I have seen films on TV, or on DVD, but most, if not all wouldnt be described as modern. I have seen one movie out, in that 10 year period, but that wasnt new. That was Pandora’s Box, the famous Louise Brooks silent movie, made in 1929, seen in the Grand Theatre, in Leeds. Jean Harlow movies may not be quite the most modern things I’ve seen since then, but you get my drift. So, the news that I’m going out on Friday, to see a movie in Bradford, might come as a shock to some. Well, until I say that the film was made in 1927, stars Clara Bow, and is again a silent one, ‘Wings’. Thought to be a lost film for so many years, a copy was found in France, restored, so that we are fortunate enough today to still be able to see the first Oscar winning movie, the only silent film to win best movie award, in fact. Seriously, this should be quite something. 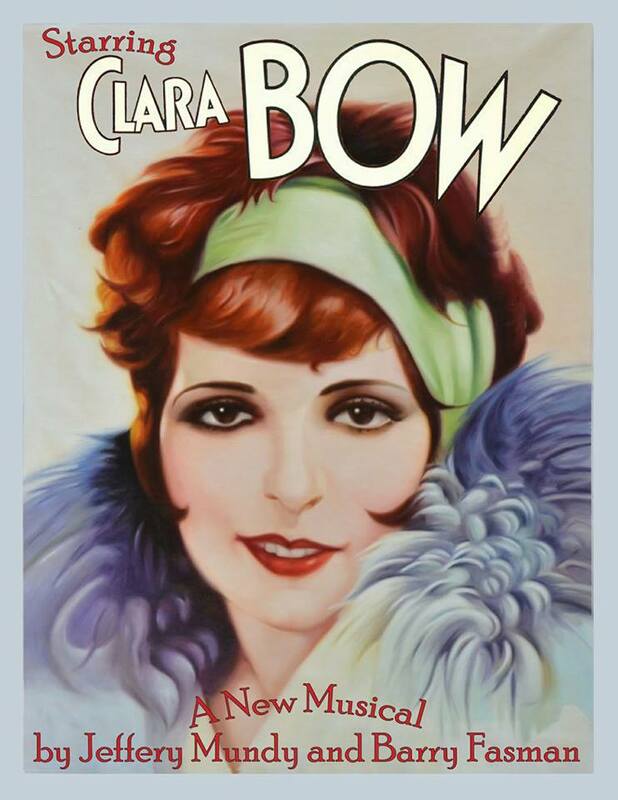 I have seen scraps of Clara Bow in movies, thanks to You Tube, but a whole movie, on a big screen, of course not. Sadly, many of her movies are lost, have never been found as yet, and in most, if not all cases, probably never will be now, given how much the film would have deteriorated over that period of time. A good number of Louise Brooks films have met the same fate, and as for some, like Theda Bara, barely any of her films still survive. Oh, and as a sidenote, the first performance of a Harlean Harlow Carpenter has met the same fate. Thats right, Jean Harlow’s first film, ‘Honour Bound’ is a lost movie, though she was only an uncredited bit part actress at the time! As you might have guessed, I dont have a Beau, to see Ms Bow with, even on Valentines weekend. No, you dont have to date me, or even wine and dine me first, but if you want to see a rare moment of history, in an amazing setting, this is your big chance. If anyone asks, just say Jean Harlow sent you lol! The video, the most poignant version of Sound Of Silence I could find, the 10th anniversary of 9/11, sung just by Paul Simon. If you want the earlier, original, its not hard to find! In my blogs on here, I’ve introduced you to 3 of my favourite ladies from the movies of long ago, so now, I’m going to introduce you to the fourth, and final one of that group. Like Louise Brooks, I look nothing like this lady, but I adore her all the same. Many assume that Brooks was the original flapper, but general opinion is that there were 2 famous ladies who beat her to that role. Some believe Colleen Moore was the first, though Moore herself was slightly doubtful about that. But the original ‘It’ girl (as in its that look), was one Clara Gordon Bow. Its ironic, even today, most people have heard of Jean Harlow. A pretty good percentage have heard of Louise Brooks, though for some (including myself), they only discovered her through Andy McCluskey, and the OMD song about her. Fewer still, but a decent number all the same, have heard of Veronica Lake, the girl with the peek-a-boo hair. But when it comes to dear Clara, well not so many know her, which is a shame, because seemingly she was feisty, and fun. Like Brooks, the bulk of her movies were silent, and sadly a fair percentage are lost forever. Also like Brooks, she did make a few talkies, but showed little interest in the new craze, and retired from the business in 1933. There was talk that it was due to her Brooklyn accent, from what I’ve heard (catch a glimpse of Call Me Savage, for example), that wasnt true, she just hated talking to a microphone, instead of looking at an audience, with her eyes. Like Louise, she didnt play the movie-maker’s game, especially when the talkies kicked in, she really wasnt interested, retiring from the business just as soon as she could, in 1933, and retired to Nevada. The movie making folk pouted in the worst possible way, starting all sorts of wild, false rumours about her, but that backfired, just making her even more determined to get out of the business! The interesting recent talk about Clara, is a piece that suggests she actually auditioned for the part of Scarlett O’Hara, in Gone with the wind. It may well be true, though I have my doubts, given her feelings about talkies, her insecurities (unjustified) about her Brooklyn accent, the fact she had retired by then, but anyway, she would have made the part entertaining, thats for sure! Oh, and to add, as an afterthought. In 1933, Jean Harlow made a film called Bombshell, which supposedly was a pastiche on Clara Bow, directed by one of Bow’s previous flames, hmm…?